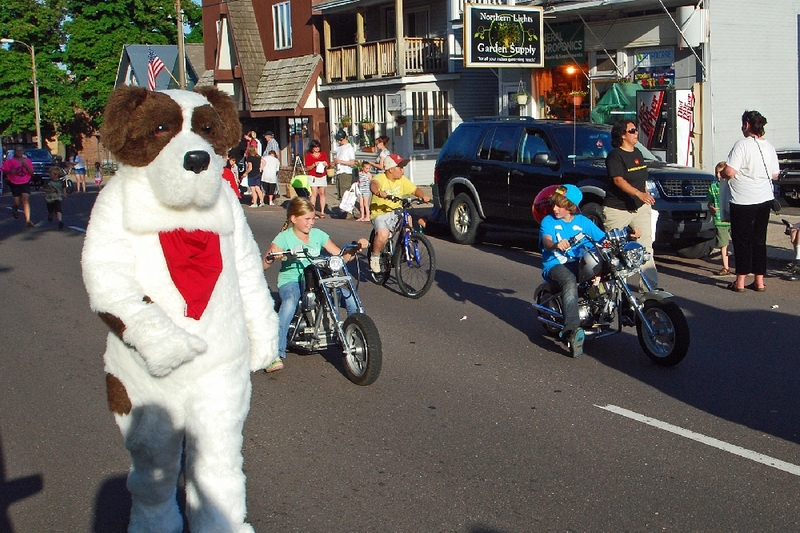 June 15-17 brought Bridgefest 2012 to Hancock and Houghton, for the 25 th consecutive year. 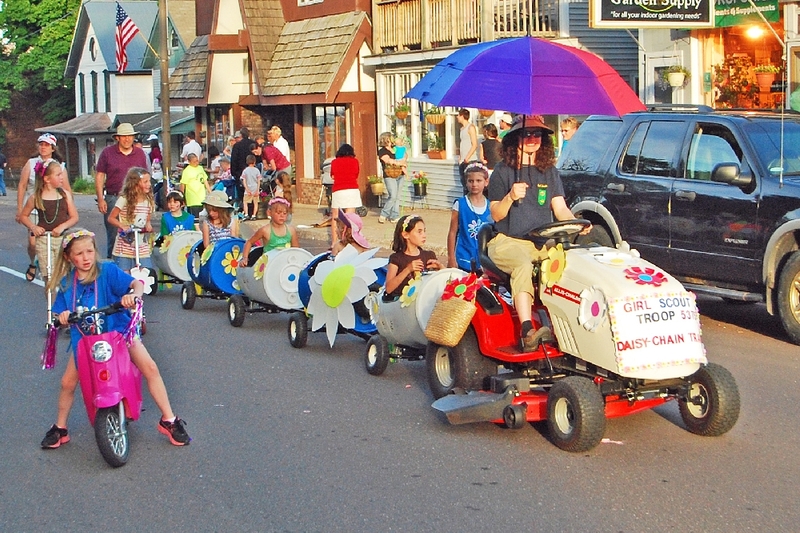 A number of events went on during the weekend, including a large parade Friday evening, the antique Auto Show, Seafood Fest, the Keweenaw Chain Drive Race,and many others. 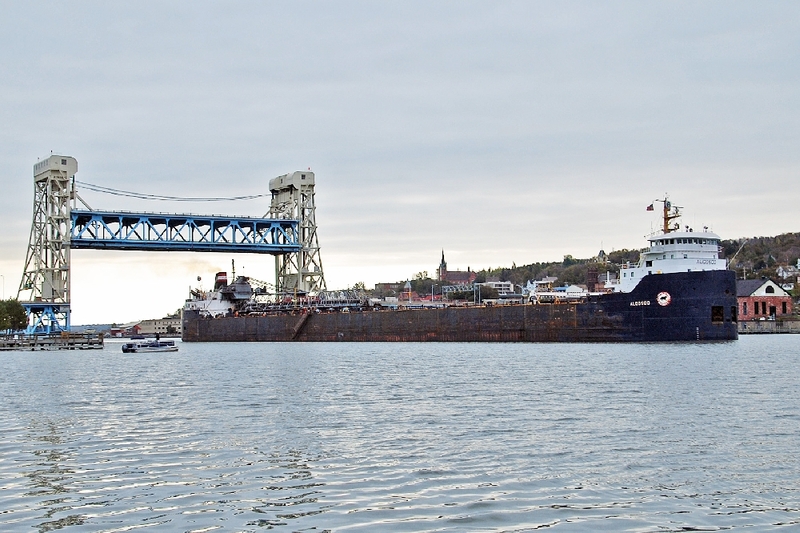 As the name implies, this Celebration is about the Portage Lake Lift Bridge, and our Bridge photo this year is of the passage of the Canadian Lake freighter Algosoo, bringing into Hancock a load of salt last Fall for our winter roads in the central and western U.P. 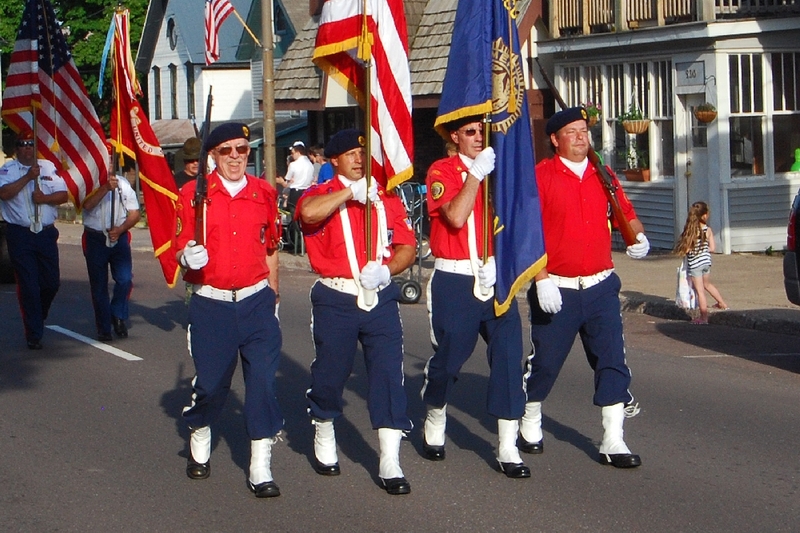 The Friday evening Parade Honor Guard is from the Hancock Alfred Erickson Post 186, American Legion. These youngsters and their oversized puppy dog enjoyed the great evening weather. 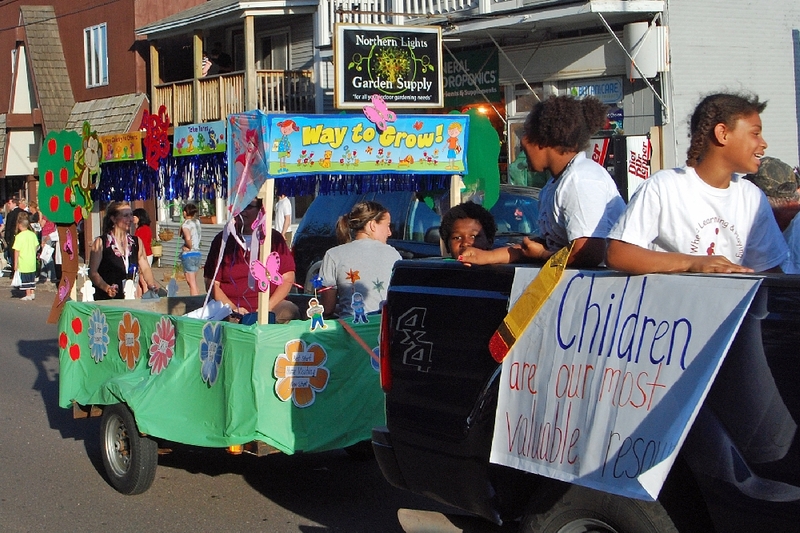 A group of children in a float by the Hancock Business Association. A great model of the Lift Bridge. 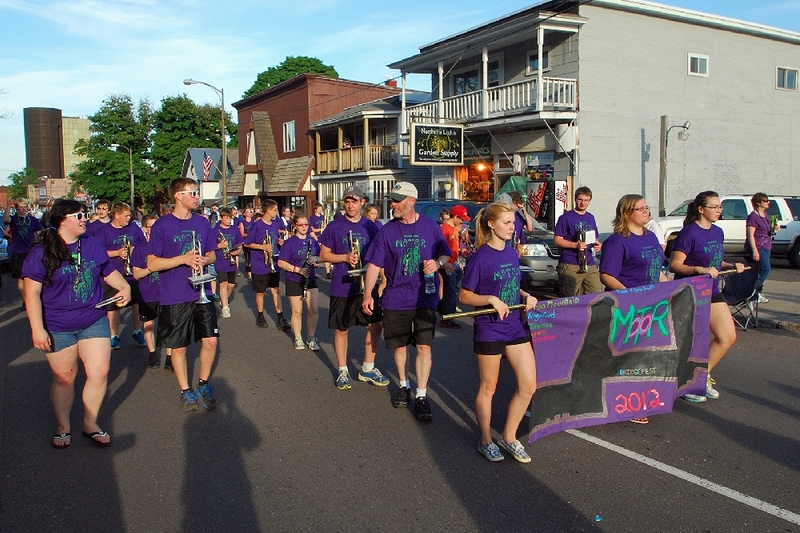 Marty's Goldenaires Drum and Bugle Corps from Bessemer, MI. 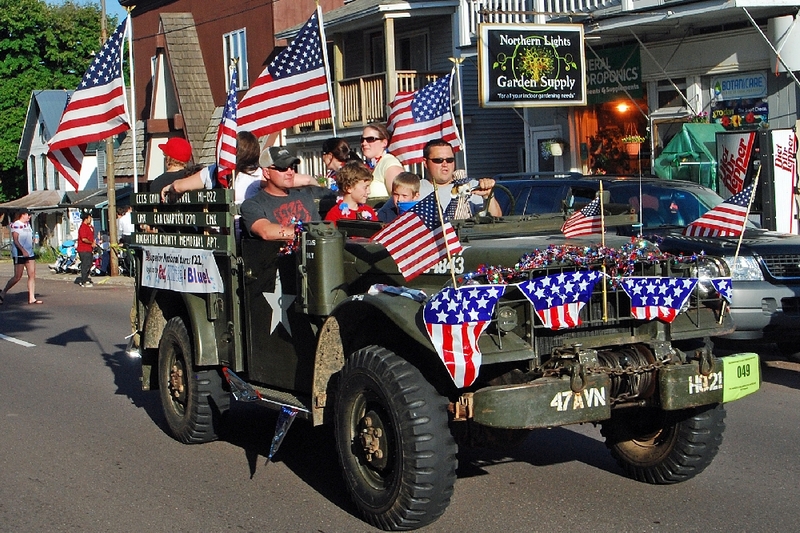 This restored Military Utility vehicle used often for mobile communications systems, carries personnel from the Houghton County Airport Civil Air Patrol Composite Squadron and Experimental Aircraft Association (EAA) Chapter 1270. 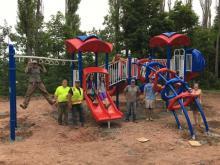 A group of preschoolers. 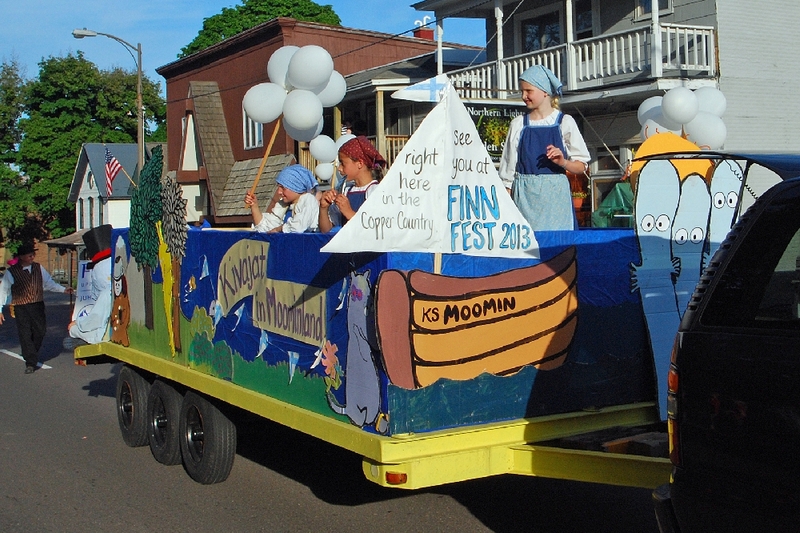 A promotion for the upcoming Finn Fest 2013. 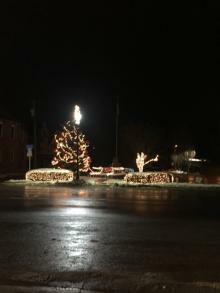 (see the link at the pictorial beginning). 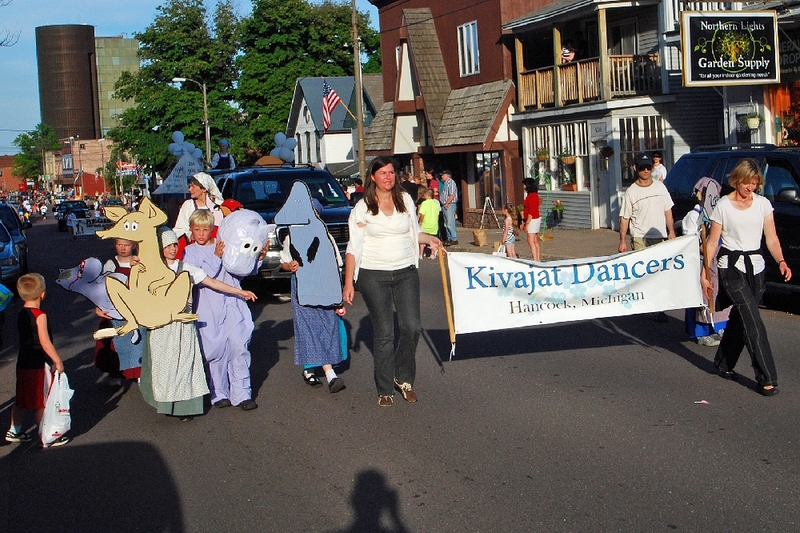 The Kivajat Children Dancers. 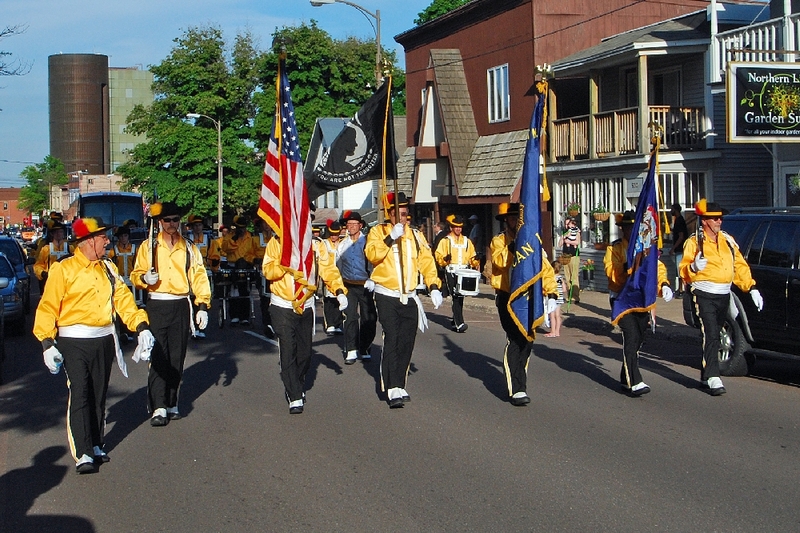 The MOTOR Composite Band from the Iron Mountain, MI area. 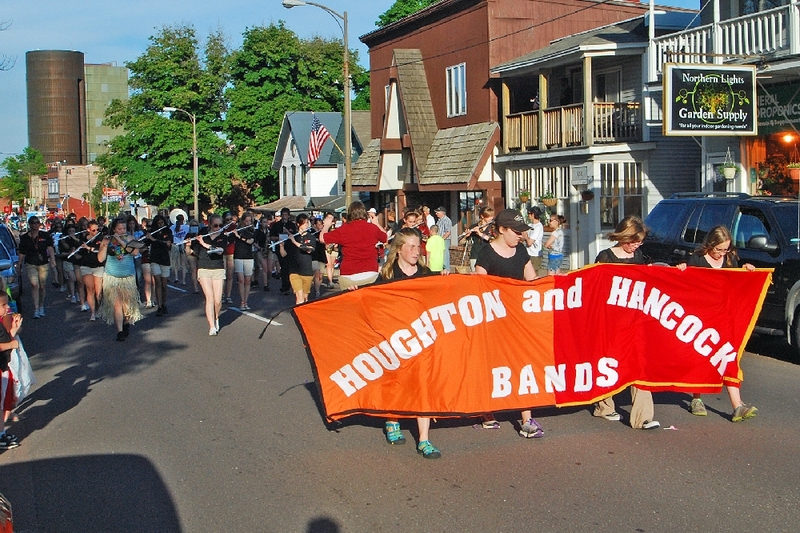 Also entertaining the crowds was the combined Hancock /Houghton High School Marching Band. 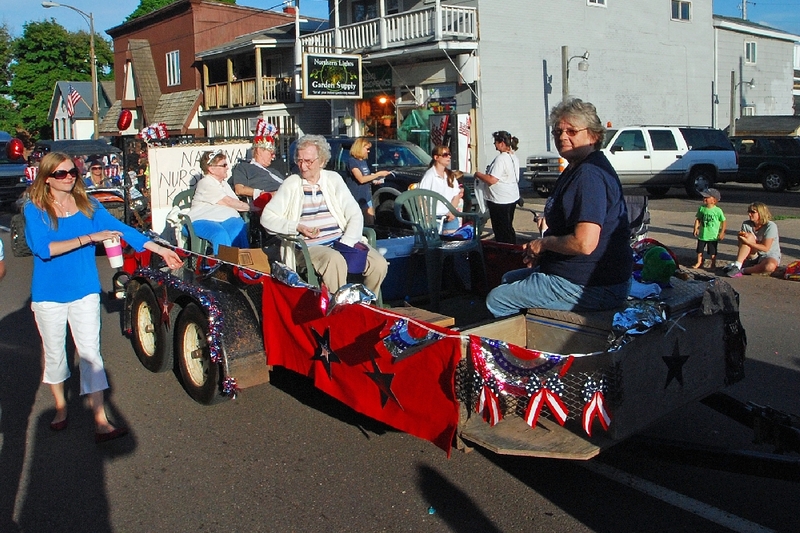 These residents of local nursing homes enjoy the Parade from a great perspective. 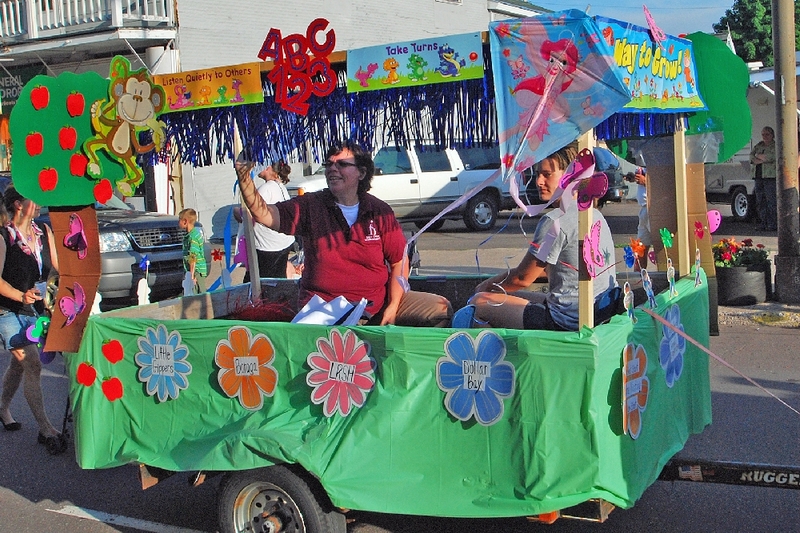 This float celebrates Preschool and it's benefits. 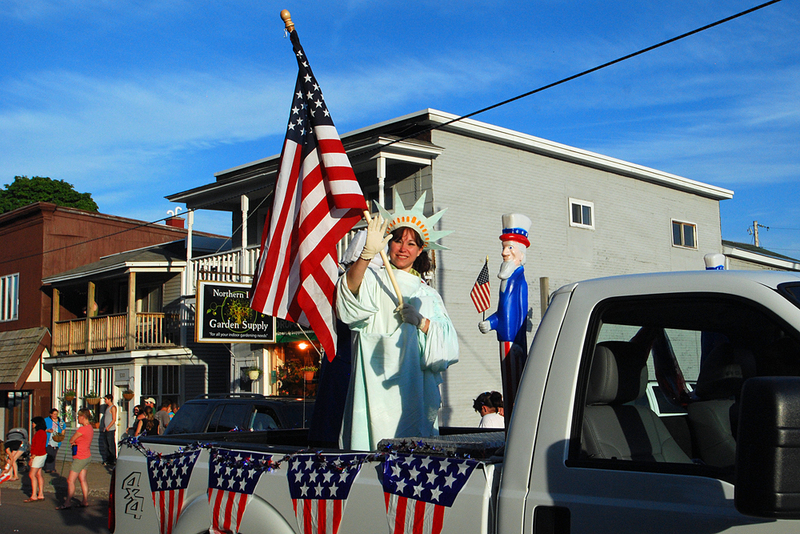 A living Statue of Liberty helps to celebrate Bridgefest. 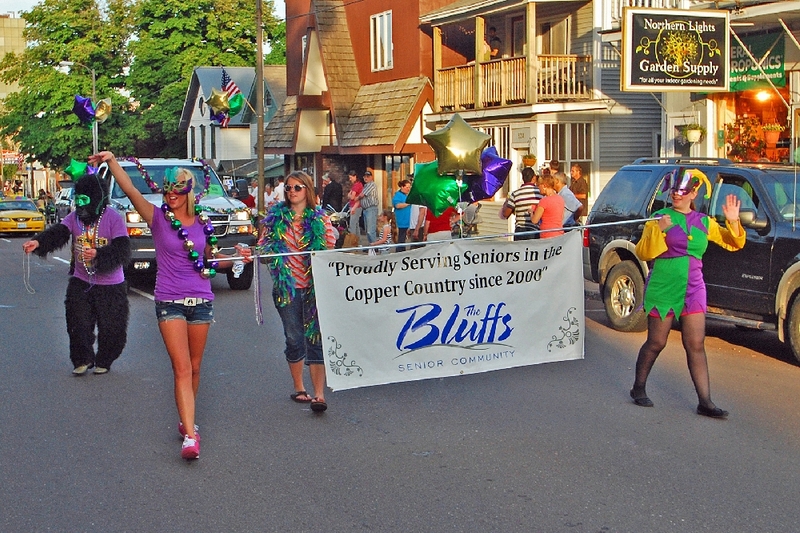 Representatives of the Bluffs Senor Living Center, in Houghton. 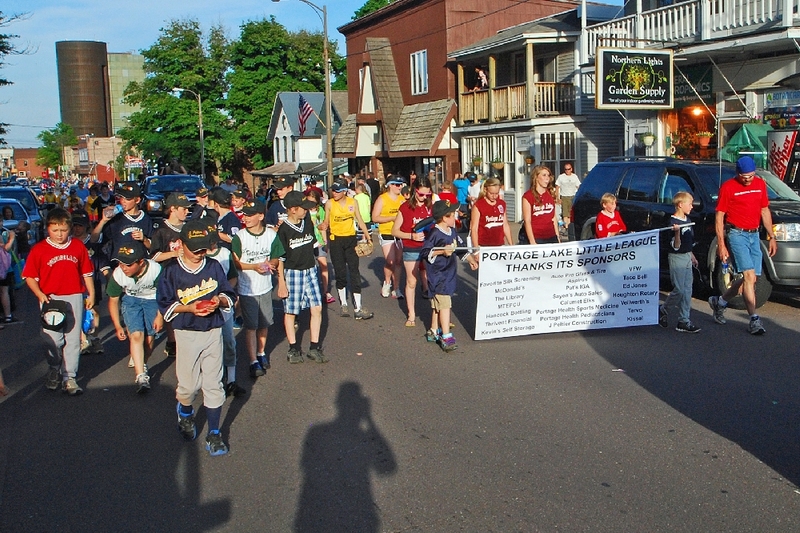 The Portage Lake Little League players. 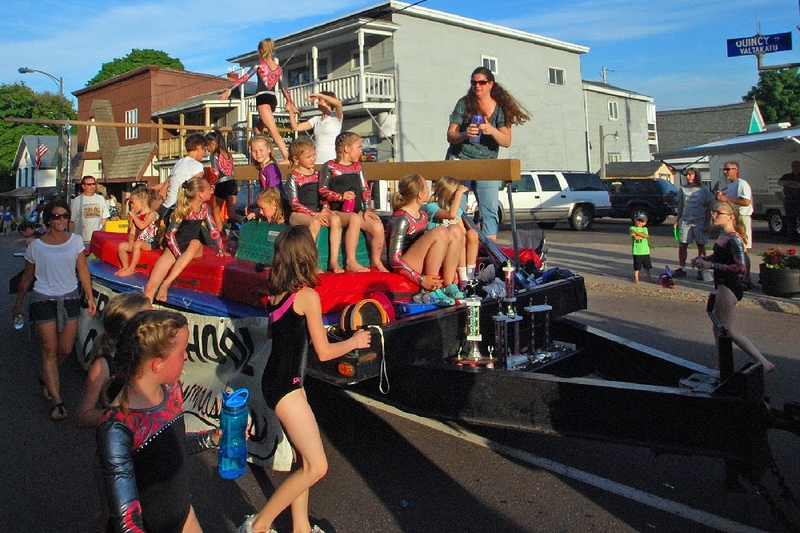 Students of the Superior School of Dance, in Hancock, located in the former Elks Temple, BPOE 386. A mechanical centipede? 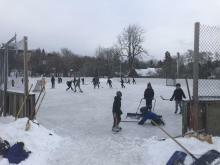 Really neat. 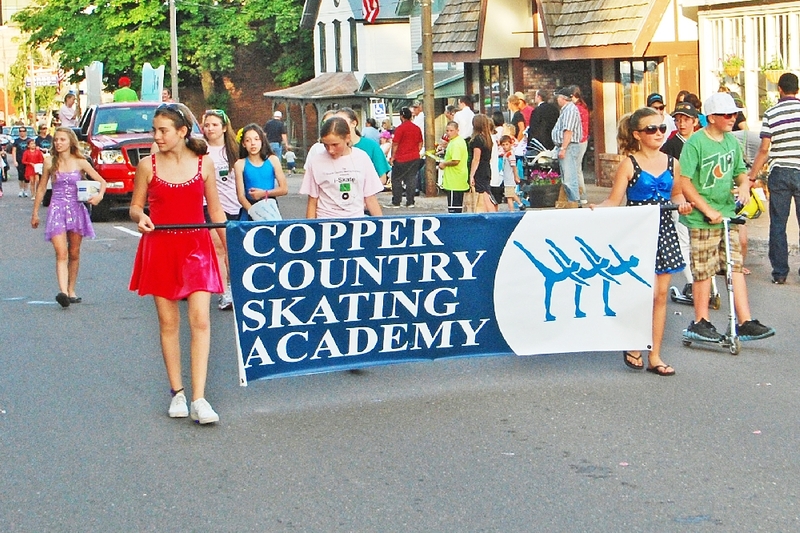 The Copper Country Skating Academy, always training and bringing out the best in local figure skating talent. 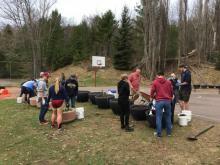 Saturday morning brought the Keweenaw Chain Drive Races, 16 and 32 miles of challenging terrain trails, sponsored by the Portage Health Systems. 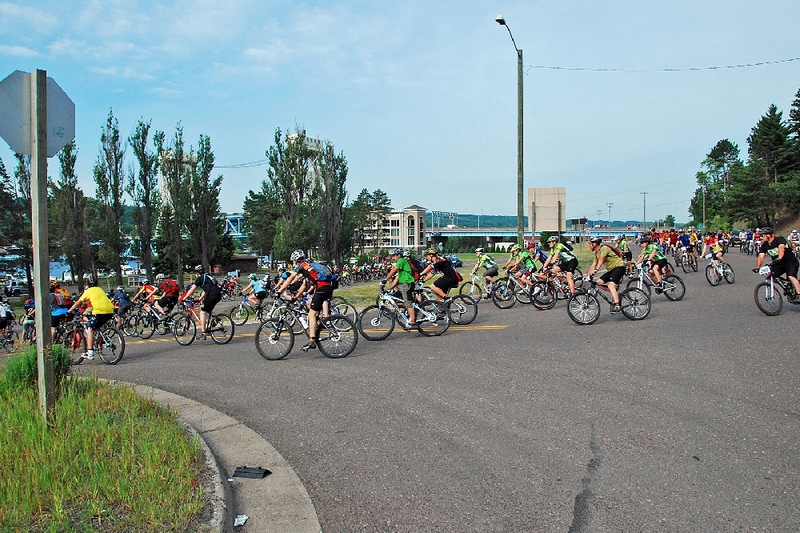 Over 400 entrants come off the Bridge headed west for the 25 story climb to the top of the Swedetwon Gorge trails. 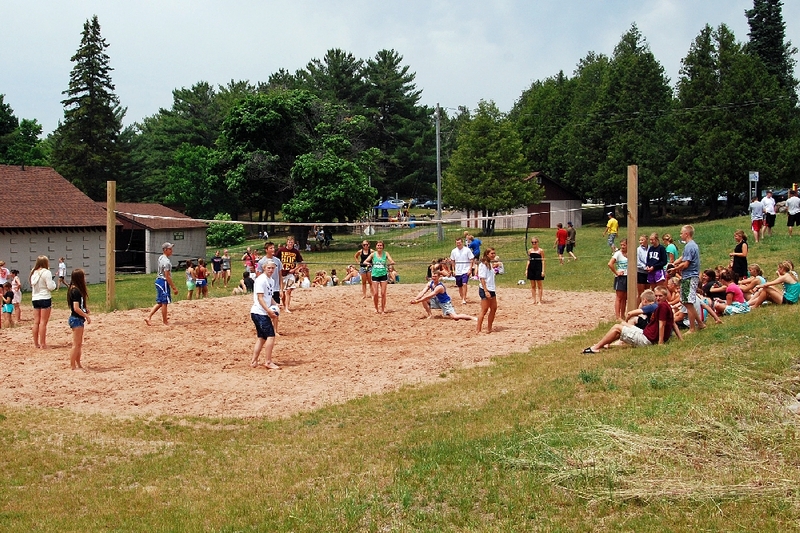 The Bridgefest Volley Ball tournament, held each year at the Hancock Beach courts. 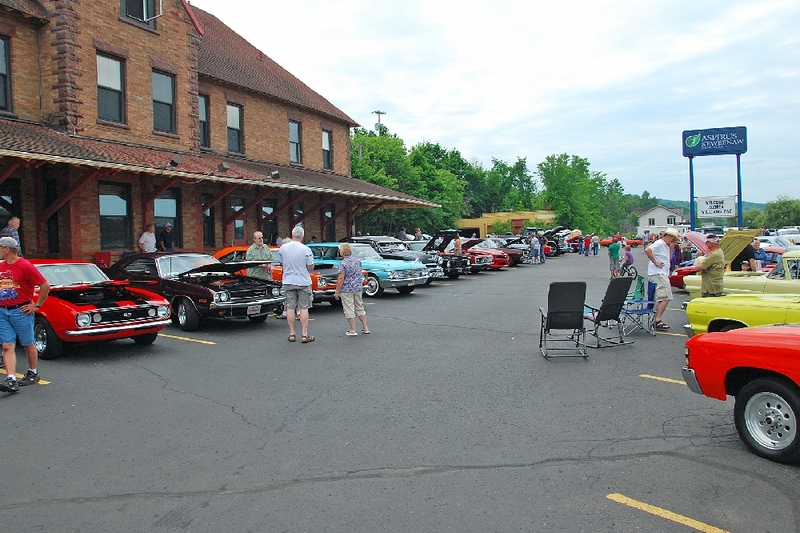 The annual Bridgefest Antique Auto Show, grows larger each year. 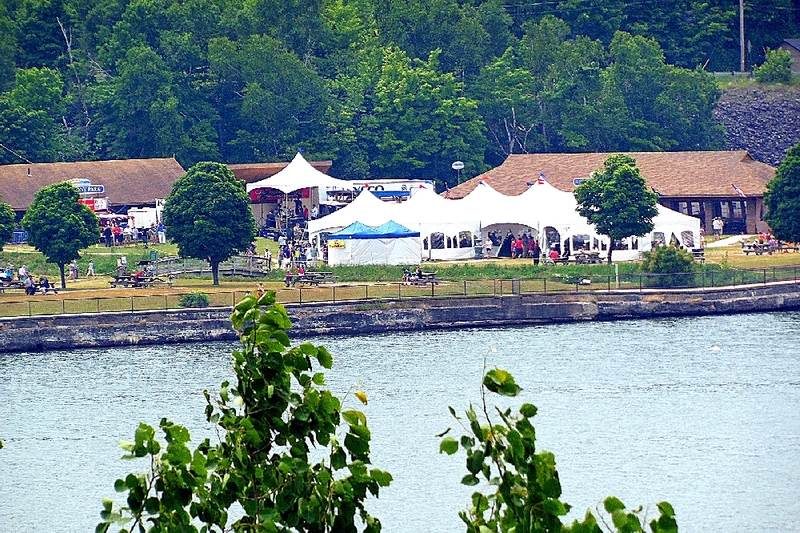 The Rotary SeaFood Fest, held each Bridgefest at the Kestner Park area. 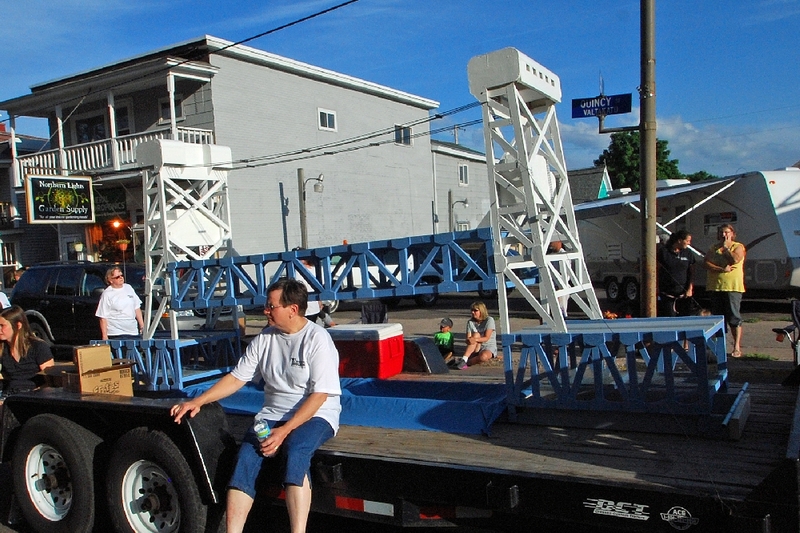 And a big round of thanks to Amy Juntinen and her Committee of volunteers who stepped up and assumed the job of making Bridgefest 2012 a reality. Well done. 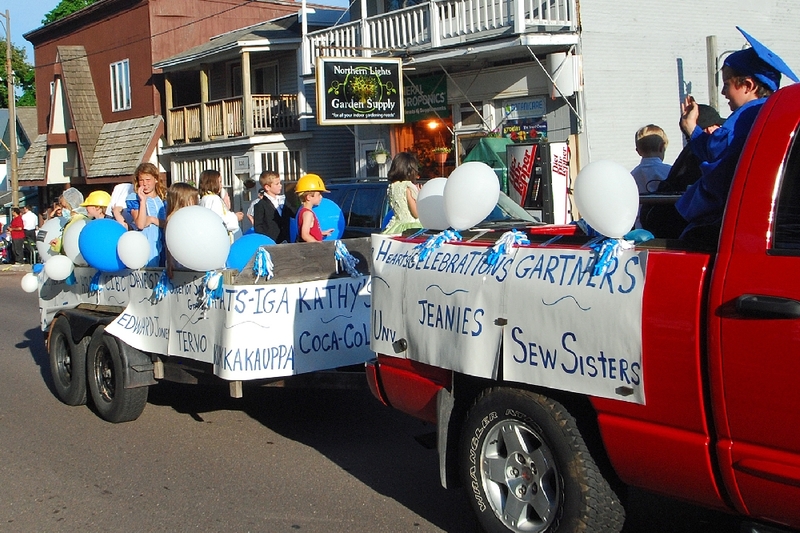 Join us again next year for the 26th Annual Bridgefest Celebration.